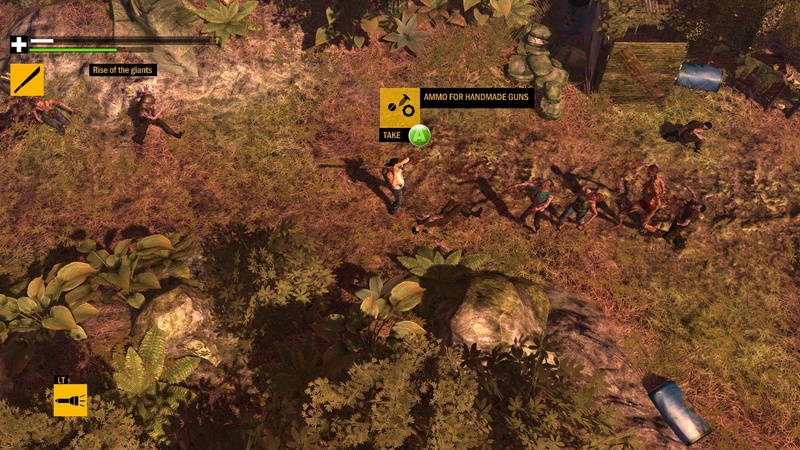 How to Survive is an interesting little downloadable game. A true survival horror title, players will not only battle the zombie scourge, they'll also have to contend with hunger, thirst, and sleep deprivation. 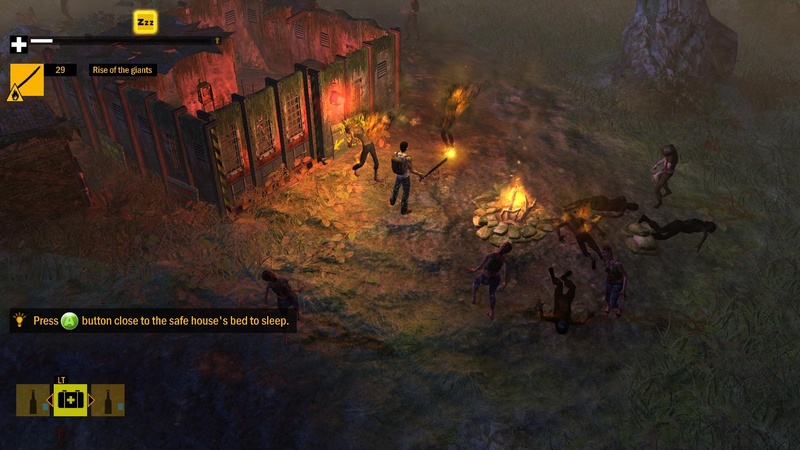 Players will find themselves stranded on an island with little more than the restless dead and the remnants of a survival book for company. Luckily the game supports two player local or online co-op, so you can share in the apocalyptic misery with a friend. I began the demo with little more than my fists and a stick. 505 Games' Mike Greening guided me through the game, suggesting I pick up everything and explaining how the crafting system works. My first main objective was to shelter for the night. I soon discovered a machete, which was fortunate because I almost immediately stumbled upon a few zombies. Mike informed me that I could hold down the attack button for a charged swing, and that made quick work of the walkers. I hacked them up like a proper serial killer and moved on. As Mike suggested, I was picking up every item I came across. Occasionally there would be a page from a survival book which would give me helpful tips. It basically acted as the in-game tutorial. Eventually I found a flexible branch and some twine. I fashioned a bow. Then I used my machete to carve some arrows from a few sticks. Now I could defend myself and keep my distance from the clawing masses. The game controls like a twin-stick shooter when it comes to targeting. Keeping it simple. Mike told me players can drop items for each other, so I can see some great opportunities for cooperation as players ration food and ammo. You can also take apart crafted items if you discover a more useful purpose for them. I was making my way around the area when I noticed it was getting dark. A wicked night and day mechanic will also give rise to a new kind of zombie which will lurk just beyond the shadows. This isn't a problem, so long as you have a light source. These faster undead are repelled by bright light, but they'll constantly try to approach your from behind, avoiding the beam of your flashlight. As soon as I thought I had driven them away from my path a few regular zombies showed up, and they didin't care about my piddly flashlight. Now I had to deal with them while trying to keep the lurkers at bay. I lived, but barely. I had to move on. I was tired, hungry, and thirsty, and this impacted how hard I could swing my melee weapons. If I didn't find shelter soon I would die. I quickly found a campsite. I lit a fire, and spied some fresh water nearby. My thirst was quenched, for now. I would need more shelter to survive the night. I moved on, discovering larger groups of zombies, including a nasty variety of bloated corpses who would explode when they took enough damage. I made a few wrong turns, and in my weakened state, I became a snack for the dead. That's life and death in the zombie apocalypse. 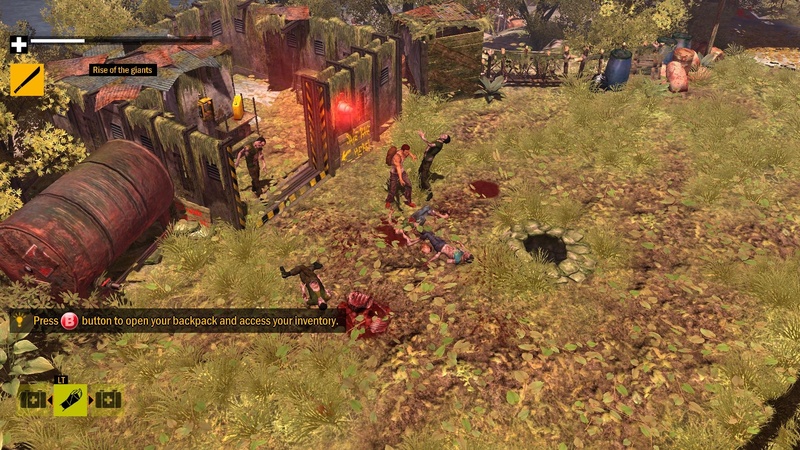 How to Survive offers a different experience for zombie game veterans. While the core gameplay is very arcadey (in a good way), maintaining your health, hunger, thirst, and sleep stats gives the whole thing a sense of urgency. I think it will be a lot of fun with a friend. (I should note the demo I played was single player, but Mike answered all my inquiries on co-op support.) 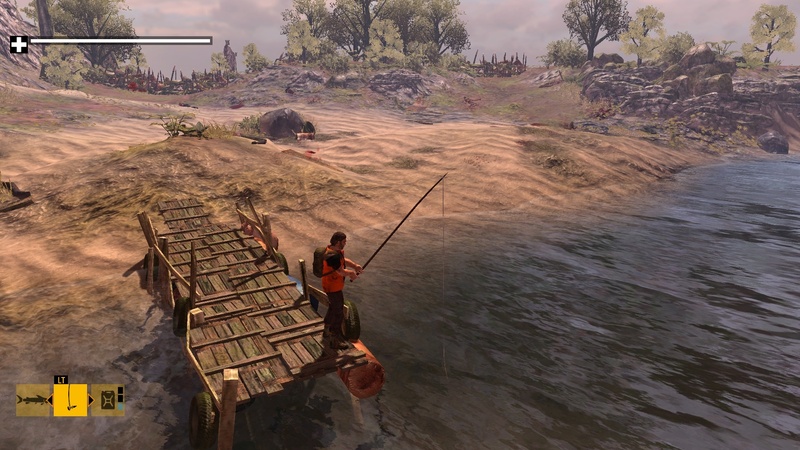 You'll have to ration the scarce supplies carefully between each other.The game uses a shared screen for both local and online play, so you will be tethered to your partner. You'll have to look out for each other as you hunt and cook your food, find water, and of course, kill zombies. The XBox Live Arcade, PlayStation Network, and PC versions of How to Survive will support two player local co-op and two player online co-op. The Nintendo Wii U version supports local co-op. The game will be out this fall.